General Motors, which passed Ford Motor Company in sales in the 1920s on its way to becoming the largest automaker in the world, has had rough times in the past few years. First they lost their position as the world’s largest automaker to Toyota Motor Corporation, and it ultimately resulted in succumbing to bankruptcy and being forced into receivership by the United States federal government. The rise and fall of General Motors featured mistakes that are considered typical in huge conglomerates. The company got so large that corporate communications became difficult; they embarked on purchases of a questionable nature, buying companies like Electronic Data Systems, Hughes Aircraft, and even foreign automakers like Saab; manufacturing operations around the world were a complete disaster, with few shared components and domestic products for multiple markets that were all essentially different with few shared components; and at the same time, in the U.S. domestic market, the slew of brands each had their own products, but they were poorly differentiated, and it was easy to tell that despite the nameplates on the cars that they were all essentially the exact same car. As they rise again, with their emergence from bankruptcy and their quick regaining of the crown as the world’s largest automaker, it appears GM plans on doing business differently in the future. They have announced that they intend on building 90 percent of their automobiles on just 14 basic platforms. That’s half of the platforms they use now. GM has also indicated a desire to half the number of engine varieties they utilize currently. These platforms and engines will also be global in nature. Currently only about a third of their vehicles sold across the world share common platforms. That’s an improvement from their pre-bankruptcy days, but they’ve got a long way to go to get to the manufacturing efficiency that automakers like Ford, Toyota, Honda and Volkswagen mastered years ago. The 2013 Malibu represents the first true “global car” for General Motors that will essentially be the same, no matter where it is sold. 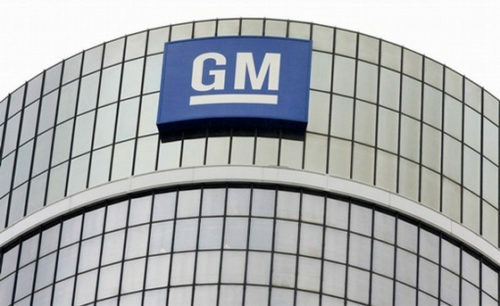 GM still has other issues that will challenge the company for years to come. Pensions are underfunded by almost $11 billion, and getting their global manufacturing streamlined will take almost a decade. Meanwhile, they’ll have to keep pumping out quality automobiles that the public wants to buy.